Calculus & Its Applications builds intuition with key concepts of calculus before the analytical material. For example, the authors explain the derivative geometrically before they present limits, and they introduce the definite integral intuitively via the notion of net change before they discuss Riemann sums. 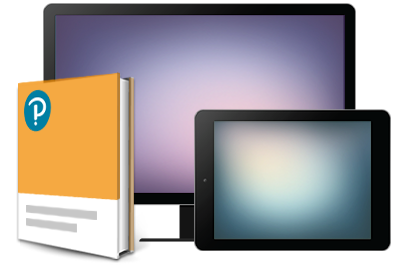 The strategic organization of topics makes it easy to adjust the level of theoretical material covered. The significant applications introduced early in the course serve to motivate students and make the mathematics more accessible. 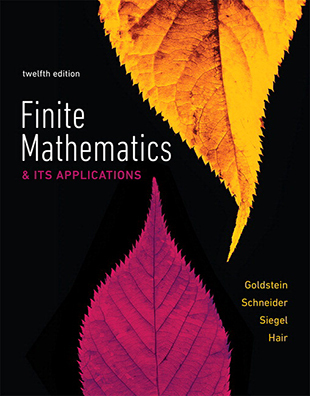 Another unique aspect of the text is its intuitive use of differential equations to model a variety of phenomena in Chapter 5, which addresses applications of exponential and logarithmic functions. Time-tested, comprehensive exercise sets are flexible enough to align with each instructor’s needs, and new exercises and resources in MyLab™ Math help develop not only skills, but also conceptual understanding, visualization, and applications. 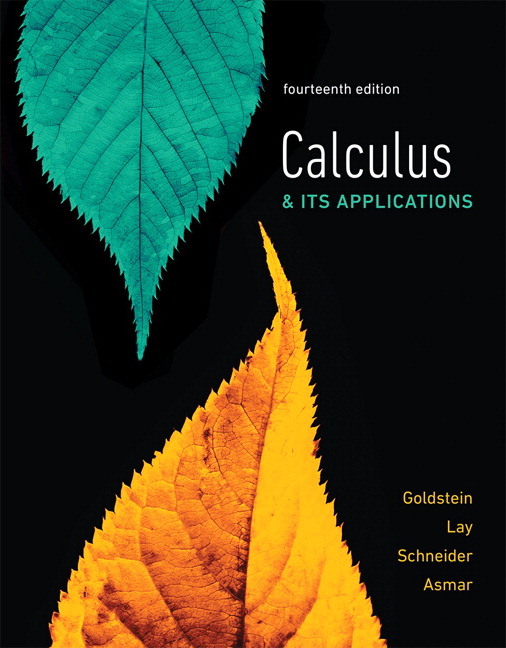 The 14th Edition features updated exercises, applications, and technology coverage, presenting calculus in an intuitive yet intellectually satisfying way. MyMathLab for School is an online homework, tutorial, and assessment program designed to work with this text to engage students and improve results. Within its structured environment, students practice what they learn, test their understanding, and pursue a personalized study plan that helps them absorb course material and understand difficult concepts. In the new edition, MyMathLab for School has expanded to include a suite of new videos, Interactive Figures, exercises that require step-by-step solutions, conceptual questions, calculator support, and more.